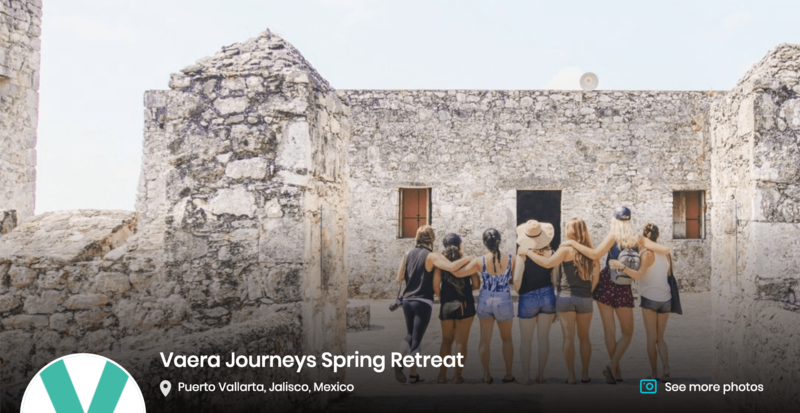 Vaera Journeys is an entrepreneurial retreat designed for women. We are all about inspiring women in inspiring places. Using travel as an organic backdrop, we encourage transformation through travel in order to take your personal and professional goals to the next level. Explore that life project which gives you purpose, with travel as your muse and as common ground to form a collaborative community. The journey continues after each trip as our #VaeraTribe gains access to our exclusive, private network of professional contacts, all designed to offer support and inspiration to bring your Purpose Project to life. And with our dedicated photographer at each retreat, come home with professional-level pictures to use for your business headshots or on your social media.